It seems hard to believe now, but this time last year, I was making my first ever batch of pastry. 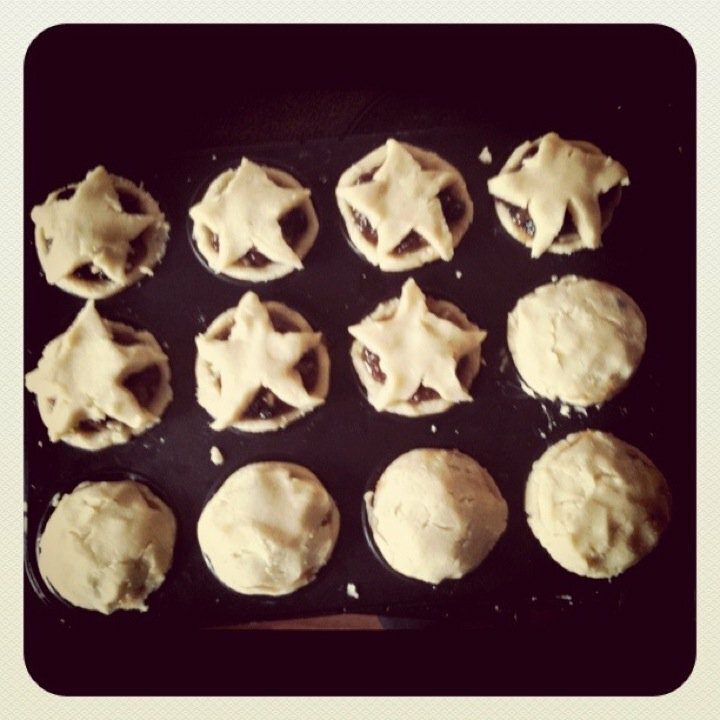 I was pretty new to baking, and after trying my first ever mince pies a couple of weeks before (yep – ever. I know; such a deprived child), I decided I’d like to make my own. The prospect of making mincemeat and my own pastry was far too daunting, so it was Asda’s own that went into my pies – and very nice they were, too! But after nailing pastry, and conquering my fear of pickling and preserving a few weeks ago with homemade chutneys for Christmas gifts, I’ve been looking forward to making my own mince meat – and more importantly, my first batch of crumbly, buttery, mince pies (drool) – ever since. 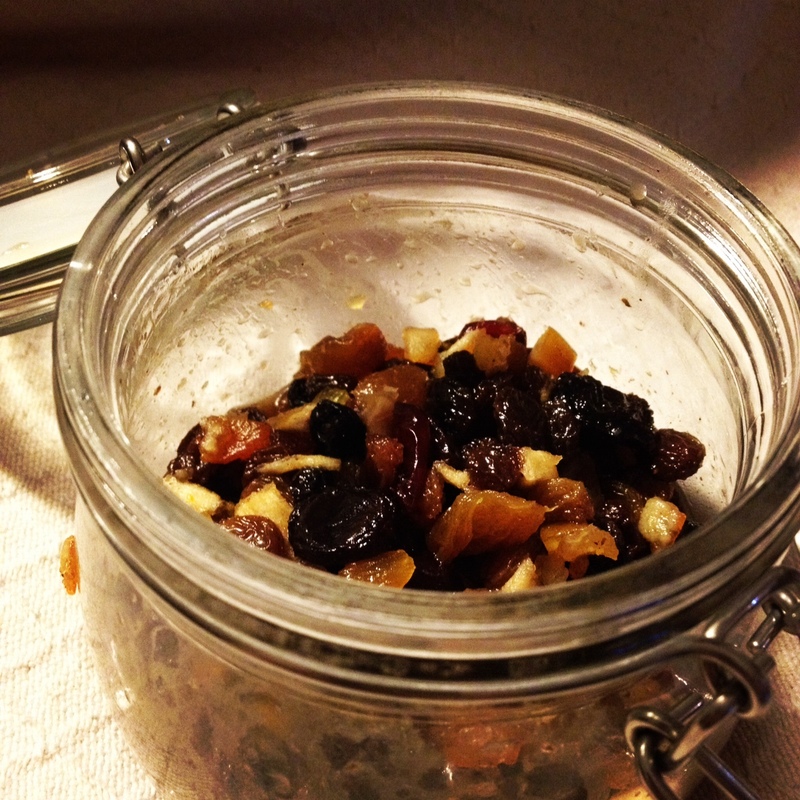 I was searching for a recipe that was a little lighter and juicier than your traditional mincemeat with darker dried fruits, and this one is adapted from a recipe from Good Food magazine. I absolutely love the glorious jewel-like colours of the berries, those wonderful autumnal spices I’ve been wholeheartedly sprinkling in just about everything I eat – sweet or savoury- for the past two months, and the warming boozy kick. Put all the ingredients, except the alcohol, into a large pan and heat gently. Let the butter melt and simmer, very gently, stirring occasionally for about 10 minutes. Allow to cool completely, then add the brandy, sherry, or apple juice. Spoon into sterilised jars (I share my way of doing it here), seal tightly, and store in a cool place. Leave this for at least a day for the fruit to soak up the booze and the flavour to mature. I’ve always been afraid of trying mincemeat, since I was under the impression that it had ground beef in it (but clearly not)! 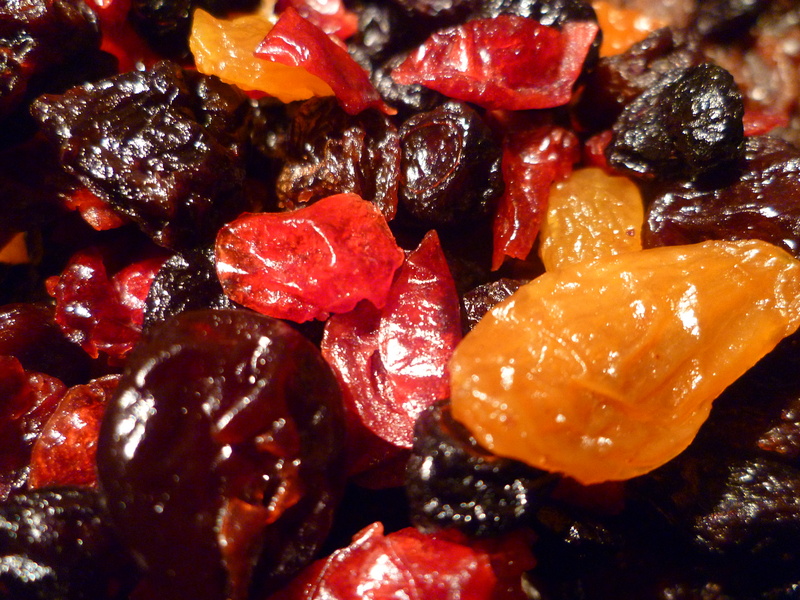 Like the addition of the berries in your mincemeat. I go for 250g flour, 125g butter, 1 egg, 2 tbsp sugar and a tbsp water to bring it together if needed – it’s Rachael Allen’s recipe, but I am up for experimentation! Considering increasing butter content to see if it’s more luxurious, but I’m far from an expert at pastry! !